The company was given the 2014 Top Products Award for its Evolve LED scalable area light. 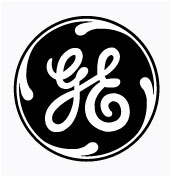 GE's selection for the top products category was based on a survey of building and facility executives, and the publication's readers were responsible for selecting the winners. The Evolve LED scalable area light surpassed the popularity of 464 other products to earn the award. GE's commercial LED lighting product was designed for malls, commercial properties, retailer locations, auto dealerships and a wide range of other outdoor settings. With a high lumen output and two color temperature options, the Evolve LED scalable area light is an adaptable lighting solution. It also has a 50,000-hour rated service time and offers a 30 percent reduction in energy usage compared to traditional high intensity discharge lamps used in similar applications. In addition to this most recent recognition, GE was given the LightTrades award in 2013, an honor that recognized the top 10 lighting products launched last year.